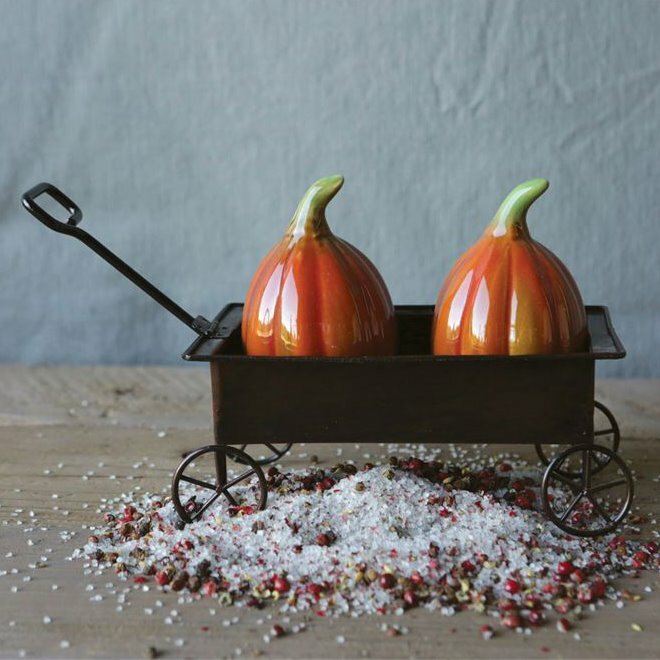 A charming addition to your fall table decor is the Ceramic Pumpkin Salt & Pepper Shakers in a Metal Cart. Each pumpkin shaker has a shiny, painted finish of burnt orange with a green stem, and2 measures 3.25"h x 2"w. The metal cart has a hinged handle, and measures 8"l x 3.5"h x 3.25"w. Made by Creative Co-op. Three piece set. Imported.